Plus, The Onion reports a health insurance miracle! P.S. My @DrugChannels Twitter account now has more than 7,000 followers. 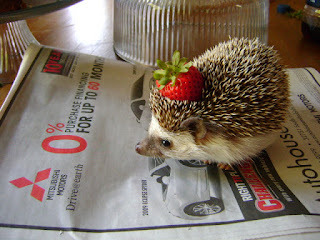 Join the fun for my daily commentary on the industry’s news. Next week, Drug Channels Institute will release our 2019 Economic Report on U.S. Pharmacies and Pharmacy Benefit Managers. It’s the tenth edition of our popular and comprehensive examination of the entire drug pricing, reimbursement, and dispensing system. The exhibit below—one of 180 in our new report—provides a first look at the 15 largest pharmacies, ranked by total U.S. prescription dispensing revenues for calendar year 2018. 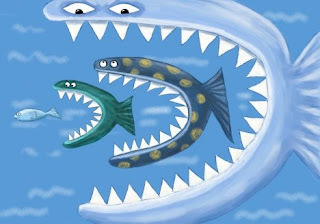 As you will see, vertical and horizontal mergers and acquisitions are reshaping the pharmacy and PBM industries—and enabling the big to get even bigger. I highlight some of the major transactions that affected our ranking. For a sneak peek at the complete report, click here to download a free pre-publication draft overview (including the table of contents and a list of exhibits). Accumulator programs, state-level copay legislation, formulary exclusions, high-deductible plans, changes in benefit design, NDC blocks, step therapy programs - the challenges continue to arise. This April, the industry comes together to tackle these topics and more at the Formulary, Copay and Access Summit in San Francisco. Wait a minute – we almost forgot the most exciting part! On April 9th, benefit from a pre-conference workshop on Copay Accumulator Programs, where experts in the field will discuss navigating the complexities and impact of the emerging cost-shifting benefit design. You can tack this workshop on to your Formulary Summit registration, or just attend the workshop itself. Learn more here. My Wall Street Journal op-ed (Don’t Blame Drug Prices on ‘Big Pharma’) has received a lot of attention. Especially notable was a letter to the editor from American Health Insurance Plans (AHIP). 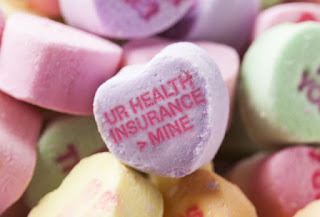 It claims that “the savings that insurance providers negotiate are returned directly to consumers through lower premiums and out-of-pocket costs." Don’t believe this misleading half-truth. It distorts the primary argument of my WSJ op-ed: Patients often pay full price for drugs that are sold to insurers at deep discounts. Below, to show you why, I follow the dollar for an expensive, highly rebated brand-name drug used by a consumer with a high-deductible health plan. As you will see, the consumer pays more than twice the true discounted price of the drug. 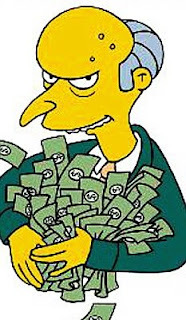 Meanwhile, the health plan pockets a large rebate. That's the uncomfortable reality of the gross-to-net bubble that AHIP wants to hide. Insurers may not use rebates to lower the out-of-pocket costs for the patient whose prescription generated the rebate. And at the same time, AHIP indignantly blames "the prices drugmakers set." We all deserve better. 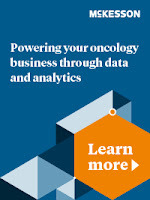 With all that is going on with drug pricing within state and federal laws, uncertainty arises for stakeholders with responsibilities in commercialization, reimbursement, pricing and compliance practices. Is your organization prepared to act? And fast? 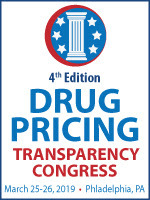 Join CBI’s 4th Edition Drug Pricing Transparency Congress to strategize and gain best practices regarding drug pricing transparency to overcome challenges and remain compliant. Register by Friday, March 15 and save $300* off the standard rate with promo code DCB300. Debbie A. Walters-Francique, Vice President, Assistant General Counsel, Pfizer Inc.
David Gibbons, Associate, Hyman, Phelps & McNamara, P.C. Don't miss this critical dialogue. Register by Friday, March 15 and save $300* off the standard rate with promo code DCB300. *Offer expires 3/15/19; applies to standard rates only and may not be combined with other offers, category rates, and promotions or applied to an existing registration. Today’s guest post comes from Tim Ogren, Senior Vice President, Products at TrialCard. Tim discusses the rise in pharmacies making fraudulent claims and the costs of these claims. Learn more in Trialcard’s white paper: Detecting Pharmacy Fraud: Is Your Brand’s Co-Pay Program Protected? TrialCard developed Spotlight®, a pharmacy fraud detection product for manufacturers. 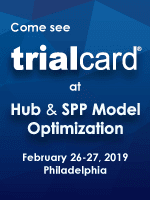 To learn more, contact Tim Ogren, TrialCard’s Senior Vice President of Products, at tim.ogren@trialcard.com. Read on for Tim’s insights. 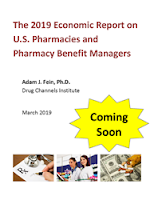 On March 5, 2019, Drug Channels Institute will release The 2019 Economic Report on U.S. Pharmacies and Pharmacy Benefit Managers. This new tenth edition is the most comprehensive, fact-based tool for understanding the entire U.S. drug pricing and distribution system. The 2019 edition has been significantly expanded and restructured since last year’s edition. We have added new industry data sources, deepened our coverage of many topics, and added more trending information. There are also 2 new chapters and many new exhibits. (including the Table of Contents and a List of Exhibits). This year, we are providing you with the opportunity to preorder this thoroughly updated and revised 2019 edition at special discounted prices. This means that you can be among the first to access our new report. Those who preorder will receive a download link before March 5. You can pay online with all major credit cards (Visa, MasterCard, American Express, and Discover) or via PayPal. Click here to email us if you would like to pay by corporate purchase order or check. 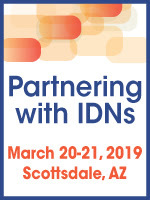 Special pricing discounts will be valid through March 22, 2019. As always, thank you for your interest in our work. If you have any questions before purchasing a license to the report, please email me. Enjoy! 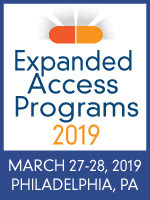 CBI’s Expanded Access Programs 2019 focuses on the design, development and practical implementation of early access programs. The summit convenes top industry stakeholders and regulators to examine current approaches in providing investigational, pre-launch or end-of-lifecycle drugs to patients for treatment purposes. A multi-stakeholder faculty will address key issues affecting EAPs and review the potential impact of the evolving legislative landscape. when they use code AGK946. * REGISTER TODAY! Marcel van Kuijck, Vice President UltraPrograms, Global Medical Affairs, Ultragenyx Pharmaceutical Inc. Dawn Sullivan, Department Manager, Global Medical Affairs & UltraPrograms, EAPs/ISTs, Ultragenyx Pharmaceutical Inc. Expanded Access Programs, Early Access Programs, Compassionate Use Programs, Named Patient Programs and Managed Access Programs. Visit www.cbinet.com/EAP for more information.